Bitcoin, like most cryptocurrencies, has experienced tremendous pain in 2018, but there is a silver lining developing - in stark contrast to the violent swings in global equity markets, wild price swings have been absent in daily Bitcoin flows in the last month or so. 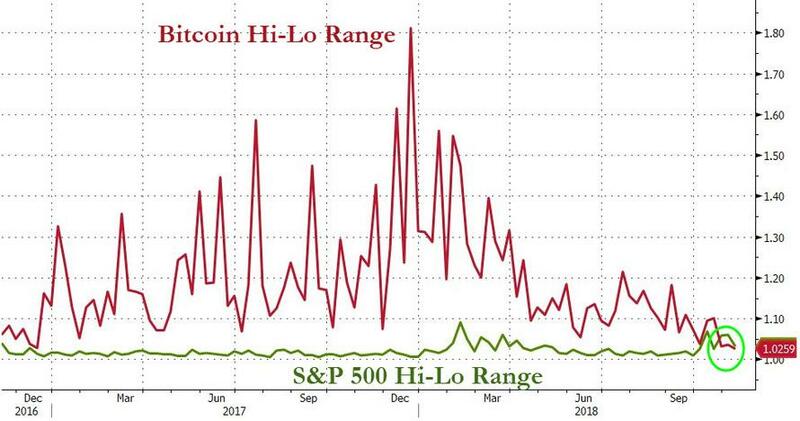 Measured on a weekly basis, absolute levels of Bitcoin volatility is probing levels not seen since late 2016, right before the most massive pump and dump in modern times took the coin from $700 to almost $20,000 within 12 months. "Volatility has been a major characteristic of the digital currency, which turned 10-years-old last week, throwing up major hurdles to its emergence as a mainstream asset class," said Reuters. 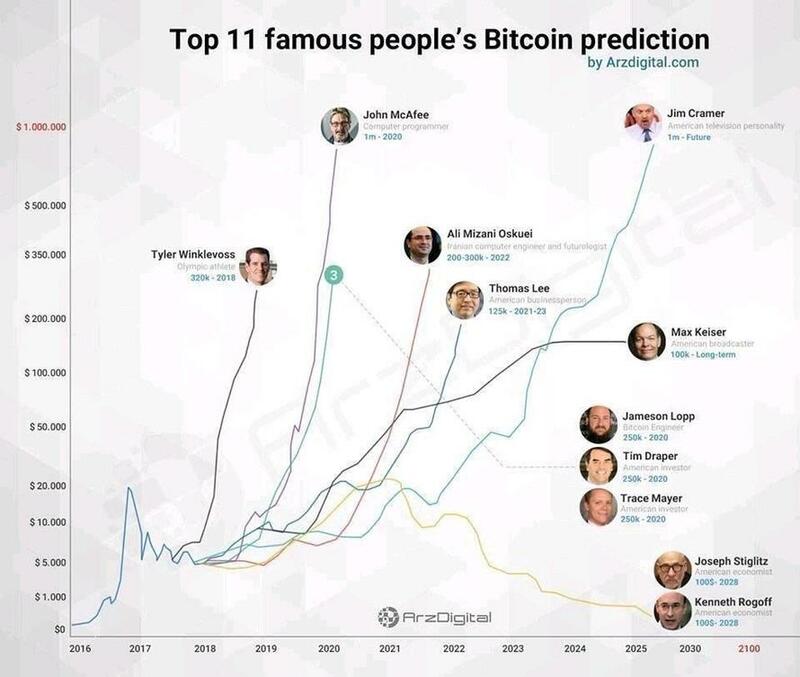 Many of Wall Streets' seasoned institutional traders were skeptical about Bitcoin's ability to store a value from the start, with most of them stayed clear and watched the spectacular rise, then fall of the coin. From the high of roughly $20,000 in late December 2017, the coin collapsed 70% to the 6,000 handle, where it currently trades lifeless today. During the collapse, regulators across the world emphasized price instability when issuing warnings to gullible retail investors who mistakenly listened to CNBC's cryptocurrency research desk's 24/7 pump. Institutions are still waiting for more guidance on how regulators will handle bitcoin products such as exchange-traded funds, leading most compliance segments within firms to heavily restrict their trading desks from buying. 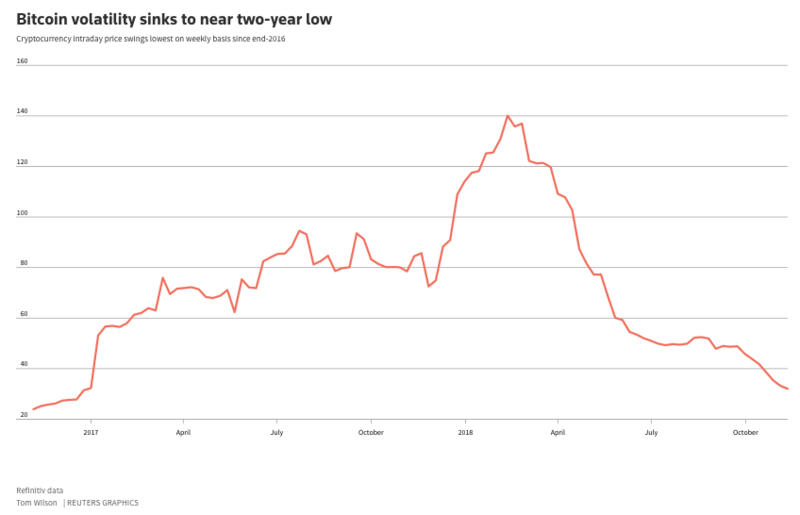 Oliver von Landsberg-Sadie, CEO of BCB Group, a cryptocurrency prime broker, warned Reuters, that a decline in trading volumes over the last three months had been a key factor in declining volatility. 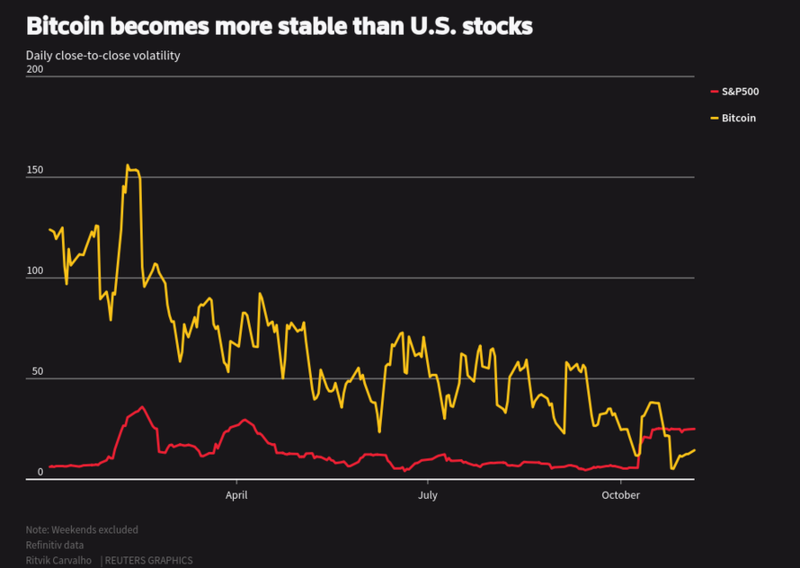 In contrast to bitcoin, volatility in the S&P 500 has climbed to near seven-month highs, due to monetary tightening and fears of a global slowdown. As shown below, Bitcoin has now become more stable than US stocks as per graphic via Reuters. Bitcoin historically tracks the JPM dollar index but is now diverging. Bitcoin generally tracks gold prices. Current Bitcoin rally reflects deteriorating outlook for US government bonds. Low US inflation is bearish for Bitcoin. 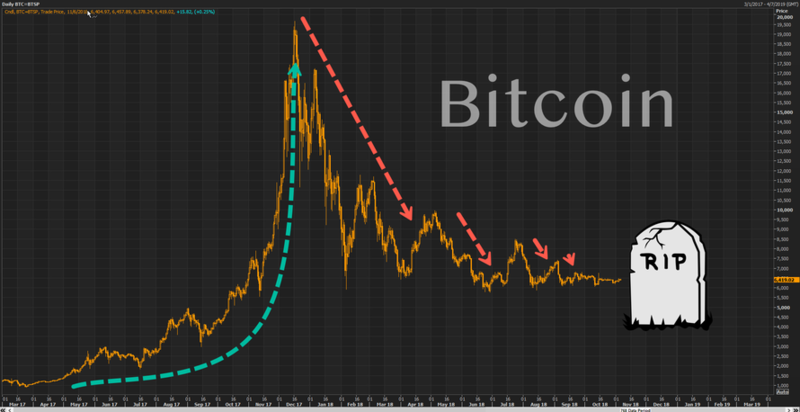 As for Bitcoin's future price action, well, it is anyone's guess as to the next directional imbalance. 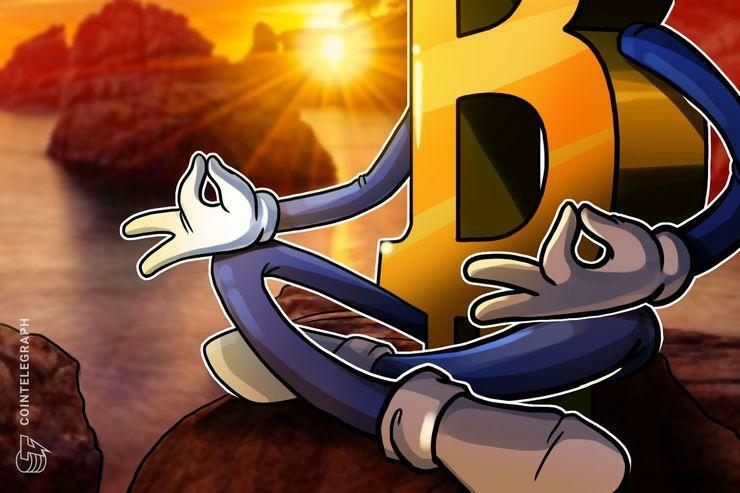 One thing that is certain, volatility tends to resurface after periods of extremely low volatility... and stability will not hurt the cryptocurrency's chances of attracting institutional money - the holy grail of the next leg higher in Bitcoin. 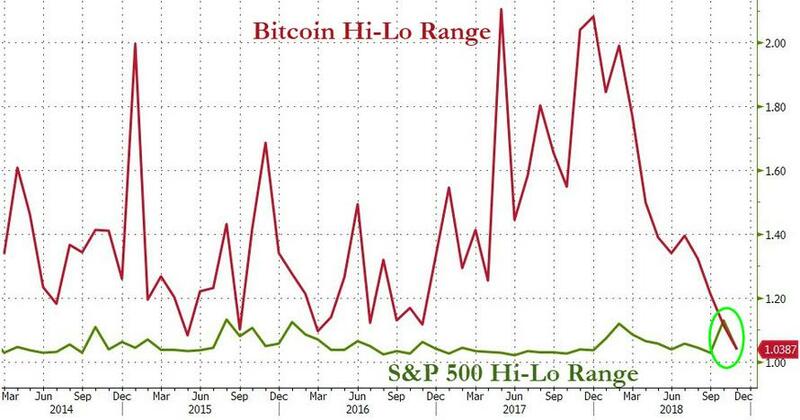 Bloomberg Intelligence analyst Mike McGlone has remarked that high volatility levels have previously been “a major factor lessening most cryptocurrency use cases” and that recently low levels are “a sign of speculation leaving the market and eventually a bottoming process."